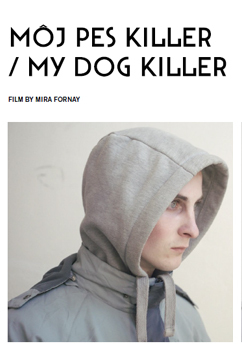 My Dog Killer won the Hivos Tiger Award at its world premier in Rotterdam. 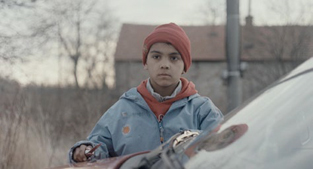 A one-day drama of eighteen-year-old Marek living near the Slovak-Moravian border with his dad and his racist friends – hooligans. Marek‘s best friend is only his dog. Marek‘s life is shaken up when he discovers the secret of his lost mother Marika. Shame is the most powerful, painful and potentially very dangerous emotion – especially for those who don’t understand its origins or don’t know how to manage it. 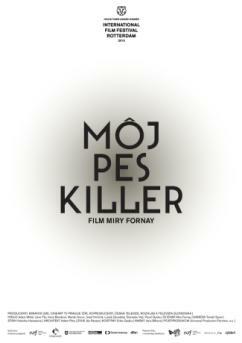 This is Marek’s case, who starts to act anxiously after he finds out about the secret of his lost mother. His feeling of shame comes from the absurd idea of racism. In Marek’s opinion, the revelation of this secret might not just damage his family dignity in the eyes of others, but mainly his own self-respect and his position in the group of skinheads. I worked with non-actors chosen in the local area. I worked with the local vagabonds the most and adjusted the script according my research among them. They knew from the beginning that I didn’t agree with any ideas of collective intolerance and hate. I spent a lot of time talking about heir childhood, their childhood dreams, as well as their present dreams. I tried to look at the world from their point of view and suppressed my own negative emotions vis-à-vis their hate of difference. I decided the camera should follow the main character, focusing on the main character’s bald head and observing him close up. Into this strict and radical way of framing I put wide and weird compositions of my own objective point of view as the author. I call them “waiting break compositions” because we wait for Marek to enter the scene without following him. The sound plays a very important role in this concept and most of the time it is deliberately composed out of off-screen dialogue. I break the rules of classical drama on purpose. This is NOT a story in which the main sympathetic evil character changes through his ‘experience’. I believe a colder, distant approach without a commentary raises more questions and makes the story more ambiguous. Marek’s world and the world around him influence each other, but where did this circle start? Where in the circle did Marek’s story really start? What was first and what was last? What is the cause and what is the effect? Without being judgmental, I still make it very clear what is right and what is wrong. By showing ordinary moments of reality I ask our society how deep rooted is our common participation in tragedies like the one of Marek‘s family. In my opinion it‘s large by our indifference, ignorance and lack of compassion.